Based on Tami Oldham Ashcraft's memoir, this is a true story of survival, adrift in the ocean on a disabled sailboat for 41 days. You might think that a story of survival on a boat in the middle of an ocean would be boring but this is anything but that. Director Baltasar Kormakur with the help of a screenplay by Aaron Kandell, Jordan Kandell and David Branson Smith (based on Ashcraft's book) creates tension by shifting back and forth between the horrendous 1983 hurricane event (Hurricane Raymond) that disabled the boat and the love story leading up to Tami Oldham (Shailene Woodley) meeting Richard Sharp (Sam Claflin), falling in love with him and taking that fateful sailing trip. The film begins with Tami waking up below deck, disoriented and alone, and through a series of flashbacks that alternate between Tami's reality at sea with her meeting and falling in love with Richard and taking that fateful trip, the film moves inexorably toward the big finale - the hurricane. But first, it's 1983 and it is established early on that Tami is a free spirit making her way around the world taking jobs on boats here and there with not a care in the world. When she passes into Tahiti and is asked by the passport control agent how long she plans to stay she says she doesn't know. When he asks her what she plans to do, she says whatever. You could say that Tami herself is already "adrift." She finds work on a dock there where she meets Richard Sharp, a young Brit with a beautiful boat, the Mayaluga, and over time they fall in love. He asks her to sail around the world with him, and they spend idyllic months at sea. 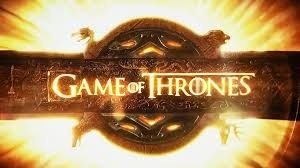 But when the opportunity arises for Richard to sail another boat, the Hazana, back to California for some friends, he asks Tami to go with him and it's a fateful trip. They are hit by 145 mph winds thanks to Hurricane Raymond. When the hurricane hits, Richard yells at Tami to go below where she is knocked out and when she awakens, Richard is gone. But then after a couple of terrifying days alone, she sees something out in the water...and it's Richard. Or is it? 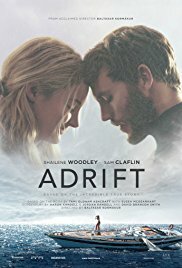 Woodley produced this film and it certainly is an opportunity for her to show her acting chops. Up until now, she has mostly starred in films aimed at young adults (the Divergent series, "The Spectacular Now," "The Fault in our Stars"), but this film now gives her the opportunity to play a full-fledged woman, and she proves her ability to do that. It's a tour de force for her. Sam Claflin made a splash (pardon the pun) in "My Cousin Rachel" and "Me Before You." He is a handsome guy and as Richard spends much of the film laid up on the deck with an injury with Tami doing most of the work to get them out of there, but as an actor he carries his weight which is not easy when you are lying down most of the time. He and Shailene have chemistry and create a believable love story. Cinematographer Robert Richardson also deserves mention as his aerial shots of the boat at sea creates a sense of isolation and the filming of the storm itself is exciting. Likewise, the special effects created a terrifying Hurricane Raymond. Why are we drawn to movies like this? Because we can vicariously live through something that hopefully will never happen to us but gather hope from it that the human spirit somehow prevails despite all odds against it. Rosy the Reviewer says...a perfectly enjoyable love story coupled with a tense lost at sea story. In a picture perfect 1950's community, a home invasion leads to tragic results for not only one family but for the whole neighborhood. Matt, Matt, Matt. I know I have been giving you a hard time lately ("Downsizing") but you really must start making some better choices when it comes to your movie roles. This one didn't do you any good. I know George is your friend (George Clooney directed), but he hasn't really been doing that well lately either. And though the Coen Brothers have written some really great films, this is not one of them, though it has some of their signature stuff all over it as in it's very strange and quirky. When the movie starts, the music makes you feel like you are going to watch an episode of "I Love Lucy." It's classic 1950's happy music. And the neighborhood is a seemingly happy one, that is until the first black family moves in. You see Suburbicon is a manufactured city that started in the 1940's and it appears it was meant for just white folks. But all is not well in Suburbicon and it's not just because of the black family that moved in, despite the neighbors wanting to blame everything that happens on them. Julianne Moore is back and once again playing two characters (see last week's review of "Wonderstruck") - twin sisters, Rose and Margaret. Gardner Lodge (Damon) is married to Rose (Moore) and they have a son, Nicky (Noah Jupe). Margaret (also Moore), Rose's sister, lives with them to help take care of Nicky because Rose is in a wheelchair. Margaret is, however, taking care of more than just Nicky. She is - ahem - taking care of Gardner too. One night there is a home invasion, and the bad guys chloroform the whole family, including Nicky but only Rose dies. Later, at a police line-up, Gardner and Margaret say they don't recognize anyone in the lineup despite the fact that the bad guys are right there. Nicky, who has snuck into the lineup room, is horrified because he sees the two guys right there. Why doesn't his Dad say something? Well, Nicky, as you soon find out..something fishy is going on. 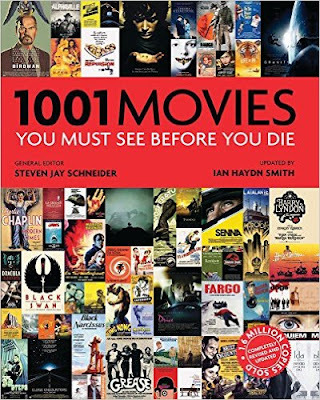 Much of the film is seen through the eyes of young Nicky and when it becomes clear that Rose's death involves Margaret's and Gardner's affair and insurance fraud, all hell breaks loose. At the same time, the neighborhood is rioting about the arrival of the black family. But when all is said and done, it's the black family wondering what the hell they have gotten themselves into by moving to this crazy neighborhood. This is the kind of classic story we see on Dateline all of the time (the husband did it), except I hate to say it, Dateline does it better. Yes, there are some quirky Coen brothers touches and the acting is fine, but it all doesn't add up to a satisfying film experience. The funny dark humor we expect from the Coen Brothers just isn't there. Yes, the film is dark but it's not funny. The story line about the black family moving into the neighborhood and outraging the neighbors doesn't go anywhere. It doesn't seem to have anything to do with the plot about Gardner and the murder mystery. Those two stories never come together and you can't help but wonder why that part of the film is even there. 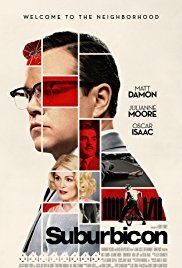 Supposedly, the Coen Brothers had a script about a murder mystery and Clooney had a script about a black family moving into an all-white neighborhood, so Clooney put the two together to make this film and that's what it feels like: a film where two disparate scripts were cobbled together. I'm sure Clooney was trying to make a statement about the whole "Make America Great Again" thing and the myth of the good old days but the film as a whole just didn't work. However, what did work was Noah Jupe as Nicky. I must be getting soft, but that little child actor was the best part of the film. Rosy the Reviewer says...I liked what I think the movie was trying to do and say - quit yearning for the good old days because they weren't so good and it's the younger generation that will save us - but it just didn't do it very well. The story of Marina, a transgender woman, living in Santiago, Chile. Life ain't easy for transgender women in Chile. Marina (Daniela Vega) works as a waitress and sometime singer and lives with her much older boyfriend, Orlando (Francisco Reyes). When Orlando has a stroke she experiences what many unmarried partners experience, whether gay, straight, transgender...they have no rights. And not only does Marina have no rights when it comes to Orlando, she is also treated like a suspect, as if she had something to do with his death. Then Orlando's family kicks her out of Orlando's apartment, and she isn't even allowed to go to the funeral. She experiences all of the indignities of not only not being married to Orlando but of being a transgender person. A member of Orlando's family who doesn't approve of her kidnaps her and tapes up her face, puts her through some other abhorrent indignities and then leaves in a very raw and uncomfortable scene. One indignity follows another but Marina is able to keep her head up and keep going. Directed by Sebastian Lelio (who also directed the wonderful "Gloria") with a screenplay by Lelio and Gonzalo Maza, this film is gorgeous to look at but it is not a particularly new plot line, and in fact is very similar to Lelio's other film "Gloria," which I reviewed four years ago and loved. "Gloria" told the story of a middle-aged woman who refused to be invisible but instead claimed her independence and respect. Here Marina is doing the same as a young transgender woman. Both films succeeded because of the strength of the actresses. 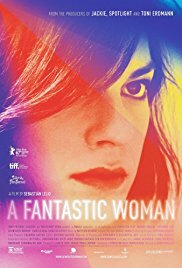 Daniela Vega, a transgender woman herself, is in every scene and has a face that is so compelling and poignant as she shows what it is like to try to get respect and live life with dignity as a transgender woman. Rosy the Reviewer says...this film won last year's Oscar for Best Foreign Language Film and deservedly so. Worth looking for. Nishi leaves the police force under a cloud and while fighting depression makes some bad decisions. This film won the Golden Lion Award at the Venice International Film Festival in 1997 during a time when the Japanese film industry had been written off. This film is considered to be director Takeshi Kitano's masterpiece and the first of his to receive widespread distribution in North America. Kitano not only directs, but also stars as Nishi who is a very depressed guy. And he has reasons to be. He has never gotten over the death of his young daughter and has to deal with his wife Miyaki's (Kayoko Kishimoto) terminal illness. He also feels guilt about his part in a routine police assignment that went wrong resulting in his partner's paralysis. And that's not all. He also owes money to the yakuza. Nishi has reason to be depressed and his life seems hopeless. So...What do you do when you are depressed and your life seems hopeless? Why you rob a bank, of course. But Nishi is also full of rage. His face reveals nothing, no emotion, but he could go off at any moment and he does in some shocking, violent scenes. Nishi may seem like the quiet type but there are some fireworks going off inside of him, so don't mess with Nishi. On the other hand, Nishi's paralyzed ex-partner, Horibe (Ren Osugi), also has reasons to be depressed - his wife and daughter left him when he was injured - but unlike Nishi, he is able to fend off his suicidal thoughts when he discovers painting. The film could be written off as a bloody Japanese cop film and, though there is some violence and blood, there is also humor and quiet, poignant moments. It's a spare film where little is actually explained and where silence is also a theme. In fact, Nishi rarely speaks nor does his face give away his emotions and yet Kitano's very presence in the film exudes emotion. Why it's a Must See: "...Kitano's finest work, satisfying both as a genre piece and in bringing together...disparate narrative strands." Rosy the Reviewer says...much more than a Japanese gangster/cop film with an astonishing performance by director Kitano. Four American women living in Tuscany form a bond. Actually, three of the women of a certain age live in the U.S. and meet when touring an assisted living facility. Camille and Susan are both widows and Julia's husband is a cheater so they are all at that stage of life where one thinks either of downsizing and entering an over 55 community or grabbing life by the horns and trying to eke out every bit that's left of one's life. And that's what these three decide to do. They form a bond and come up with the idea to rent a villa in Tuscany together to find out what their options for the future are. When they arrive in Italy, they meet writer Kit Raine who is their neighbor and who has already set up a life there. Now there are four friends. Kit's story is told in first person in alternating chapters and one can't help but wonder how much of Kit is the author, Frances Mayes. Mayes famously wrote her story in her first book "Under the Tuscan Sun," a memoir where she chronicled her buying and restoring a villa in Tuscany. But it was more than a book about restoring a villa. It was also a book about Italy and food and love (there was also a popular movie starring Diane Lane loosely based on the book). Mayes was one of the first to also include recipes in her memoir. Now that's become a thing, especially if the book is about Italy. So this book, though a novel, continues the story from the viewpoint of a woman, like Mayes, who has been living in Tuscany for several years, but this time adds the element of three other women of a certain age discovering Italy for the first time. Ironically, however, the chapters where Kit talks about her life and observes the other women are less successful than the third person accounts about the other women. Kit is writing a book about a friend and her chapters are all very professorial as if Mayes wants us to know she herself is an educated academic type. Lots of literary name dropping and I found that those chapters stopped the story in its tracks. But the book does not disappoint when it comes to food and a narrative about the Italian countryside and its cities and towns. Mayes is a master at description. One particularly wonderful chapter is when the four go to Venice. Kit says she doesn't quite trust anyone who doesn't like Venice and I'm with her there. It's one of my favorite cities in the world. Though Mayes writes beautifully and is a master of description, she can also be a bit stuffy. And don't expect much of a story. This is not a novel with an intricately woven plot like those of Gillian Flynn and Paula Hawkins. 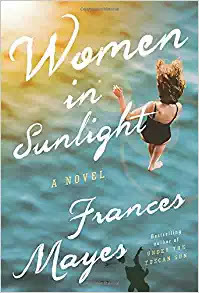 But it's a lovely depiction of women's friendships, a love letter to Italian life, and how getting older doesn't have to mean giving up on life. Rosy the Reviewer says...though not as much fun as "Under the Tuscan Sun," and not entirely successful as a novel, if you love Italy, art, food and gardening, you might enjoy this.